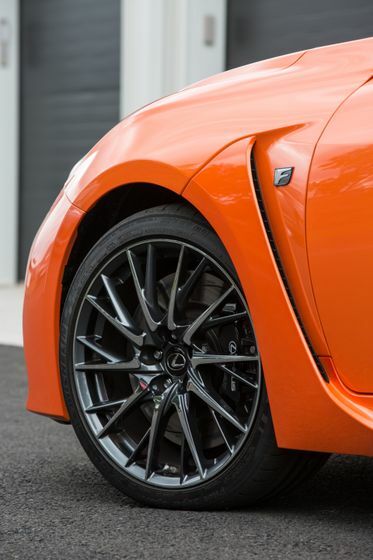 The RC F – the second V8 “F series” model from Lexus – adopts the best of the tuning and technology that went into the Lexus LFA supercar in order to create an authentic high-performance coupe that puts a smile on the faces of all of those who drive it, on the road or on the track. 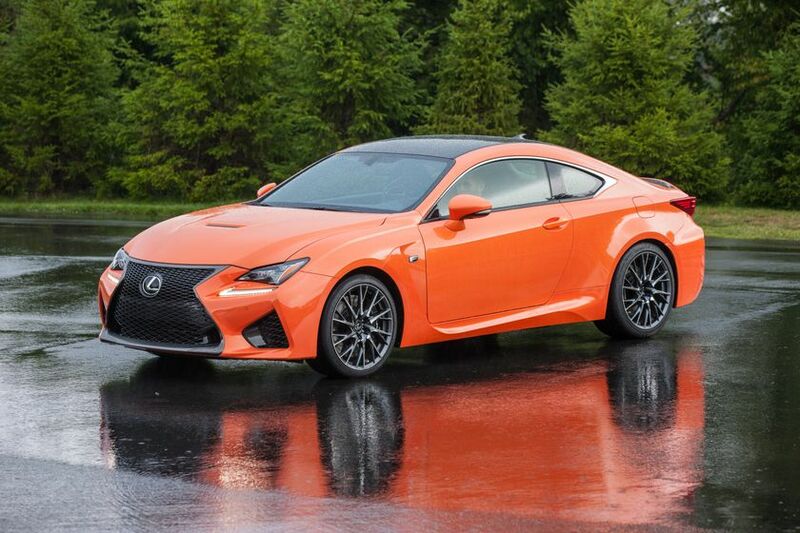 The 2015 RC F is available in a single model, with an available Performance Package. The world’s first front engine rear drive vehicle with a Torque Vectoring Differential – an electronic system that optimizes torque transfer to each rear wheel regardless of whether the accelerator is pressed. 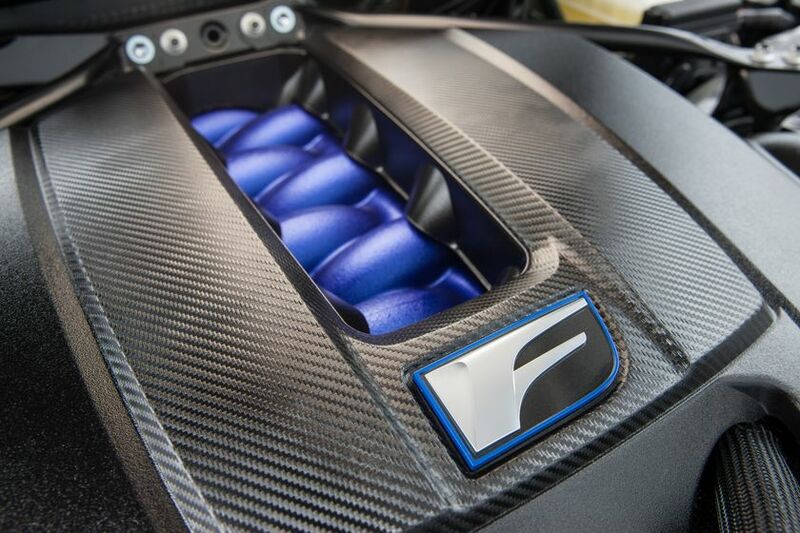 The first Lexus to employ Active Sound Control, optimizing the engine sound to create excitement through sound – one of the cornerstones of the Lexus F philosophy. 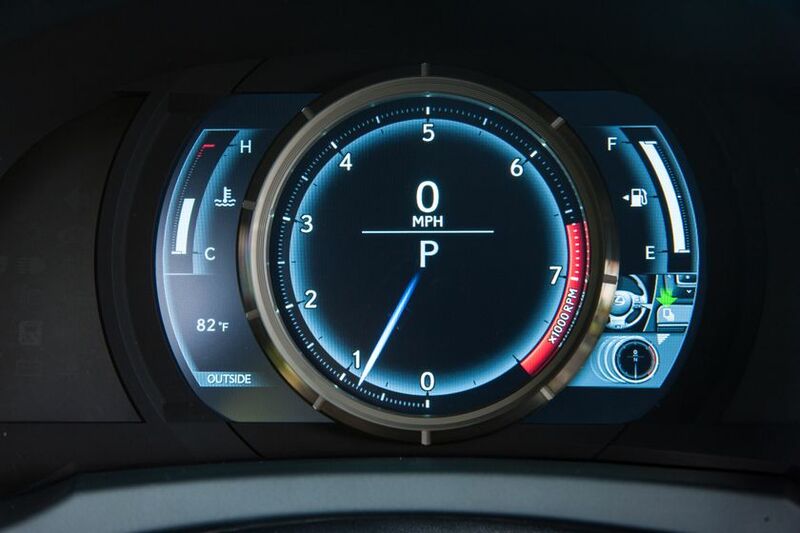 The first Lexus to feature a Sport VDIM system with EXPERT mode, which only operates to prevent the vehicle going into a spin. 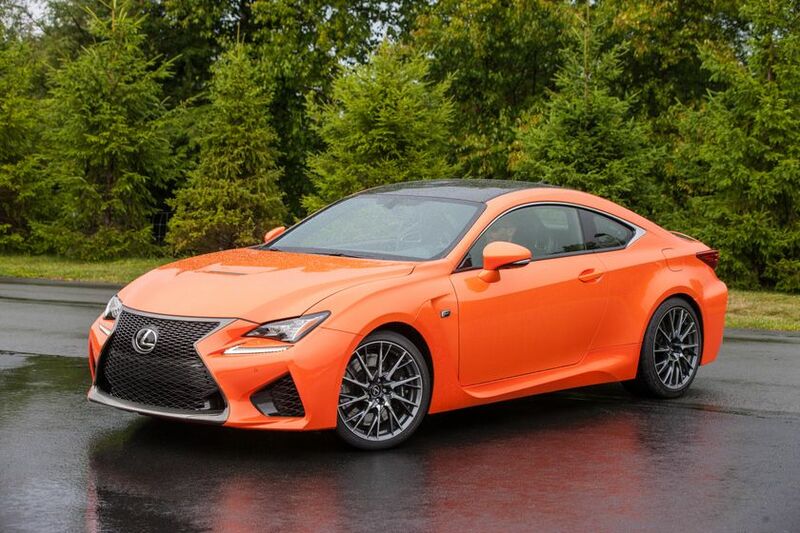 The aggressive yet striking RC F coupe body and its equally engaging interior required major changes to production engineering capability to enable the vehicle to be built. 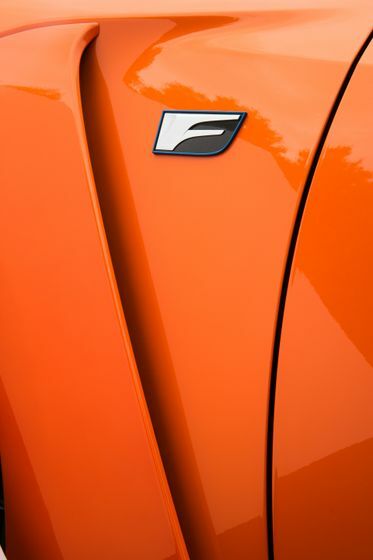 From every angle, the RC F makes it clear that it’s an authentic performance machine. 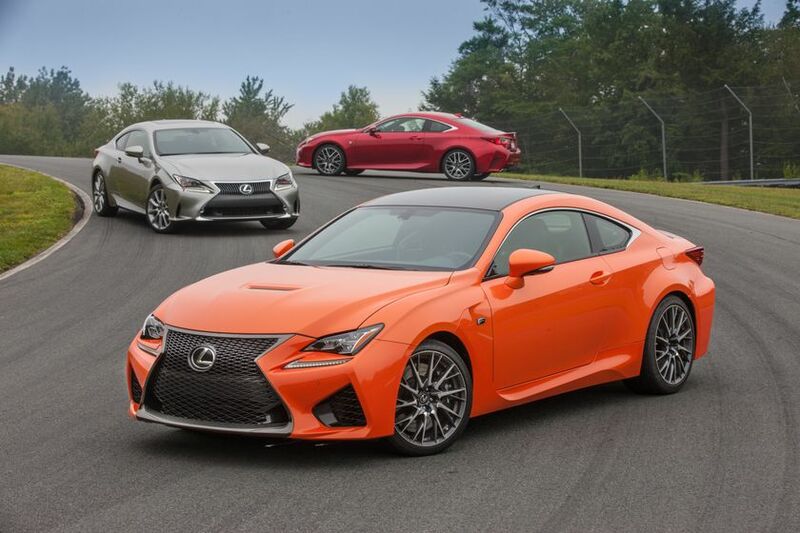 Developed at the same time as the 2015 Lexus RC coupe, the RC F is lower, wider and longer than its cousin. 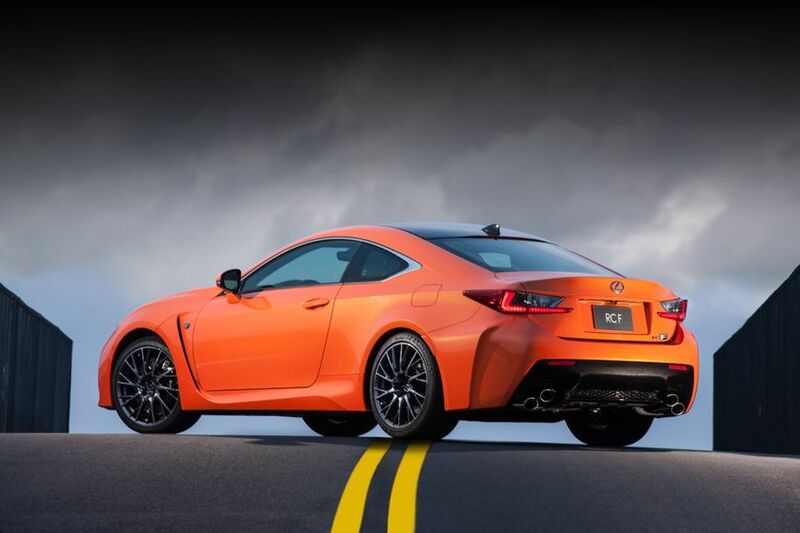 The RC F shares the same wheelbase as the RC, but rides on wider tires and features body enhancements designed to maximize performance while creating an image befitting a premium sports coupe. 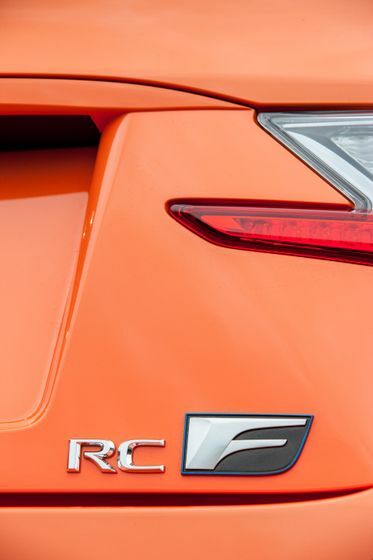 As an example, every exterior styling feature on the RC has a positive aerodynamic benefit. 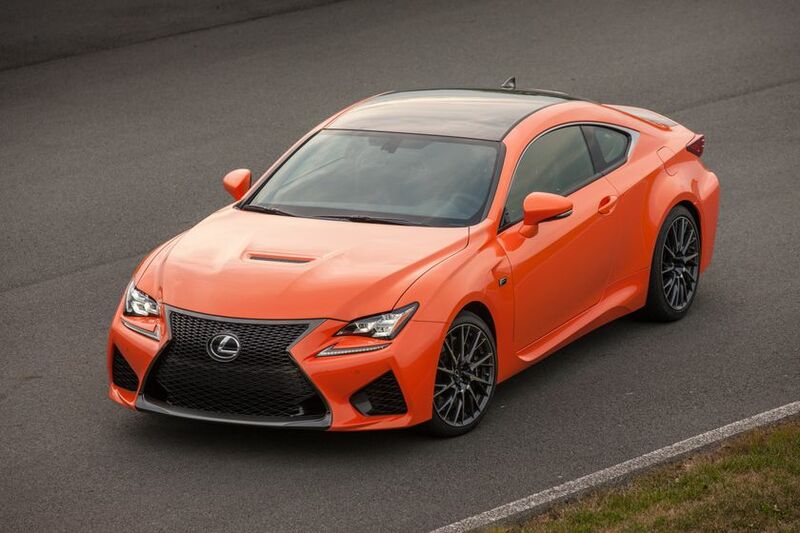 Like the RC, the RC F presents a low profile and a wide stance. A compact cabin contrasts with boldly protruding fender flares. Body contours are etched with deep, sweeping lines. 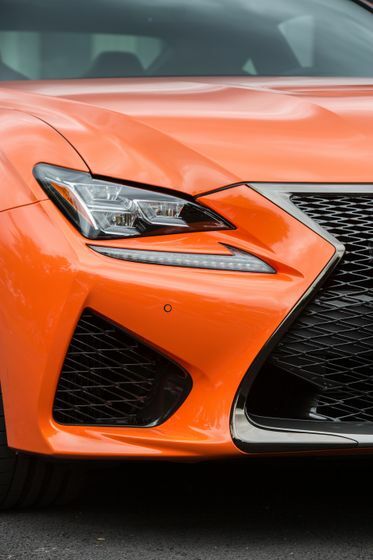 The Lexus spindle grille, which forms the fulcrum of the exterior package, is the lowest and widest application yet of this signature design feature, and features the graduated mesh pattern that is a hallmark of F series design. Cooling ducts within the grille are sandwiched by oil coolers. 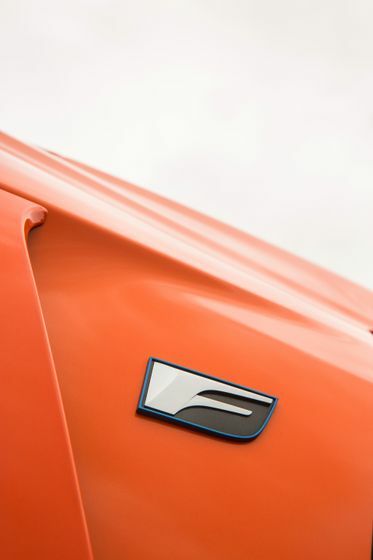 At the rear of the front fender, a large L-shaped cooling outlet creates a major design expression of dynamism while performing an essential cooling and aerodynamic function. LED headlights include thermostatically-controlled cooling fans adopted from world endurance championship race car design. 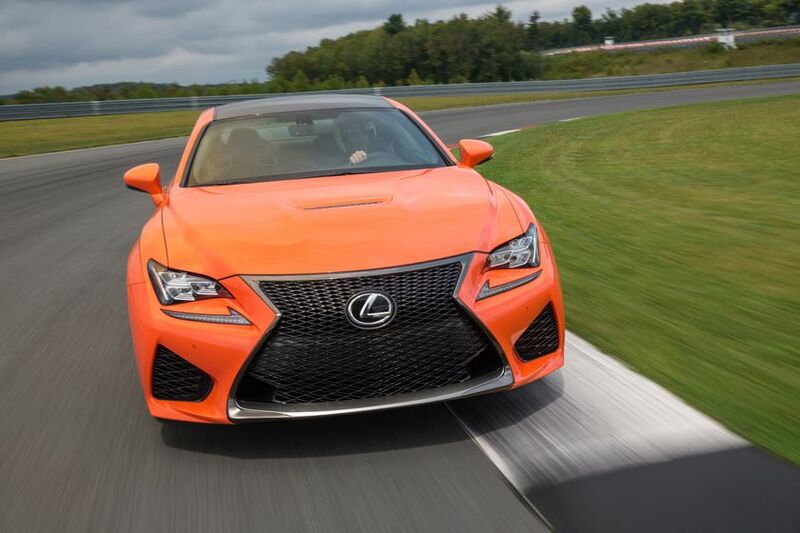 The RC F’s raised hood accommodates and emphasizes its powerful 5.0-liter V8 engine while a meshed scoop provides additional aerodynamics and cooling. 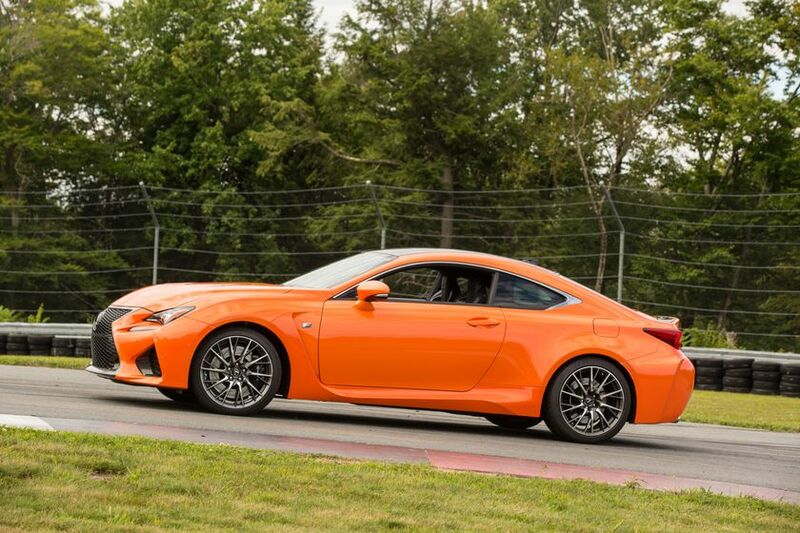 At the rear, a unique four-link active rear wing – adopted from the LFA supercar – maximizes aerodynamic performance at higher speeds, while the bumper corners are sculpted for optimized air flow. Stacked dual exhausts are tuned for maximum sound effect, while 19” forged aluminium wheels are machined into an exclusive design. 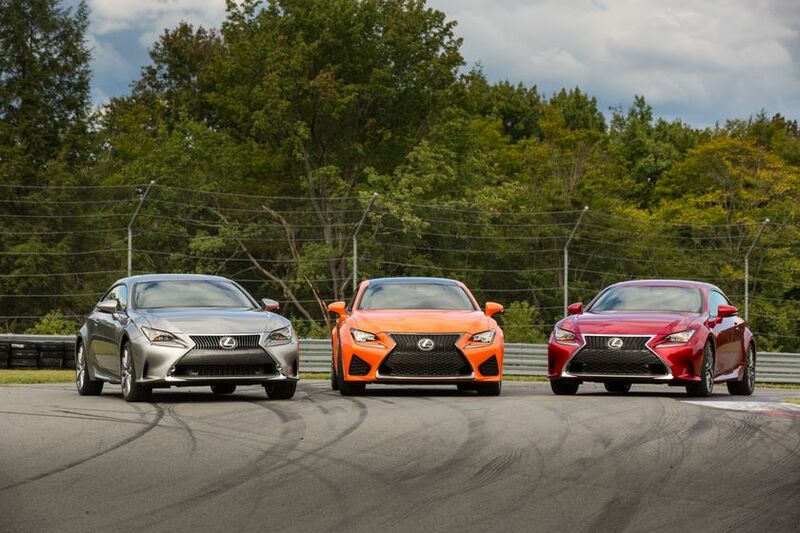 Creating the RC F body required advanced press technologies that surpassed conventional production line standards. 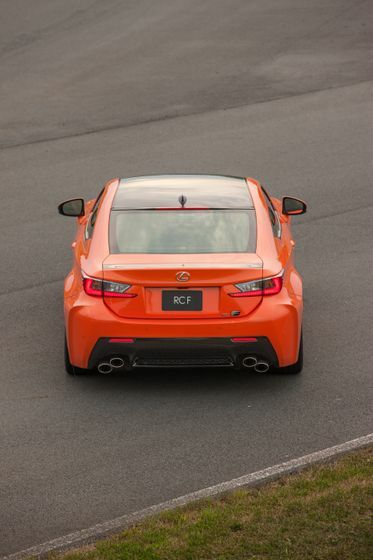 Rather than change the design to fall within production standards, Lexus implemented the new production technologies required to build the RC F’s distinctive shape. 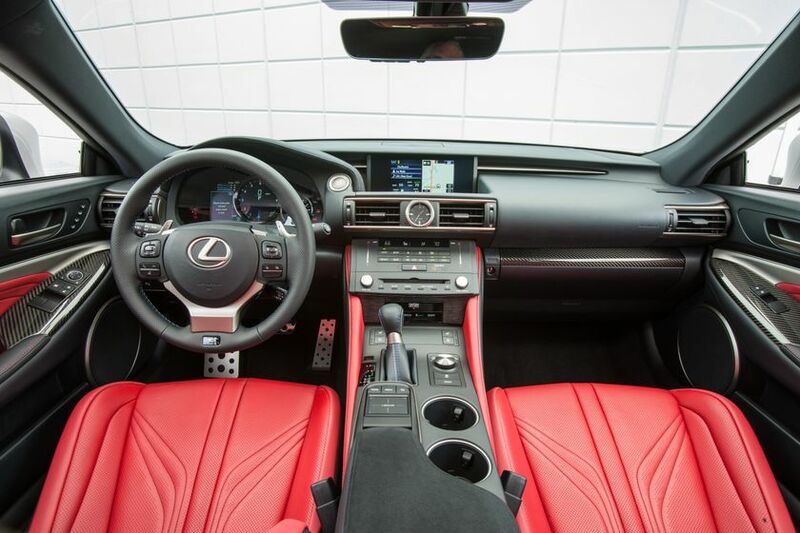 The RC F features a striking, cockpit-like interior that complements its aggressive exterior styling, even as it emphasizes ergonomics and driver dynamics. 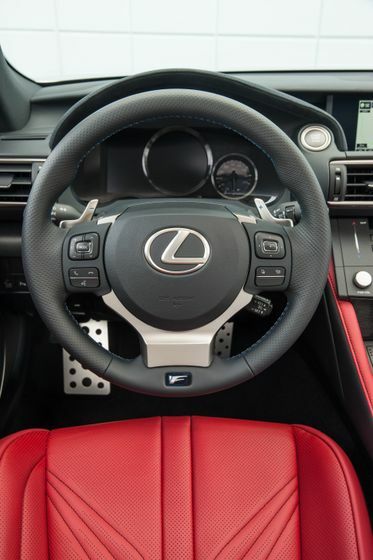 Several interior components are unique to the RC F – including the meters, steering wheel, seats, ornamentation and pedals. 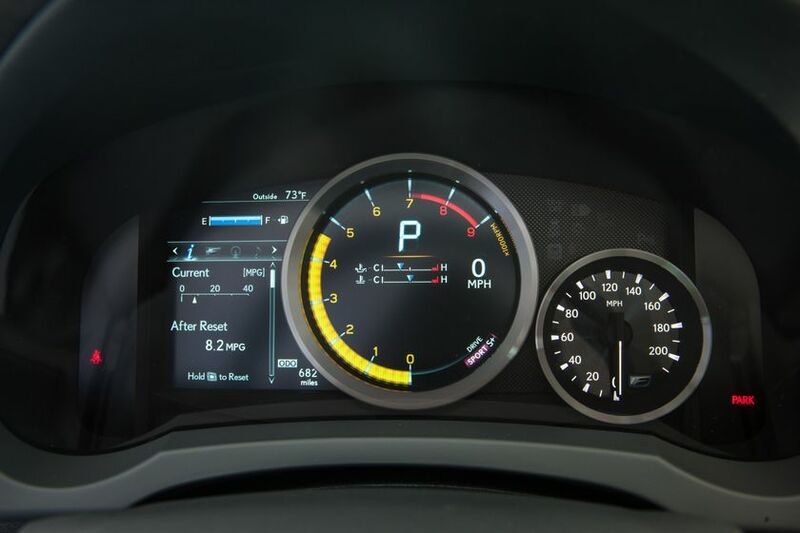 The primary instrument cluster is adopted from the LFA, with enhancements that make it easier to read with a glance – essential when racing at the track. 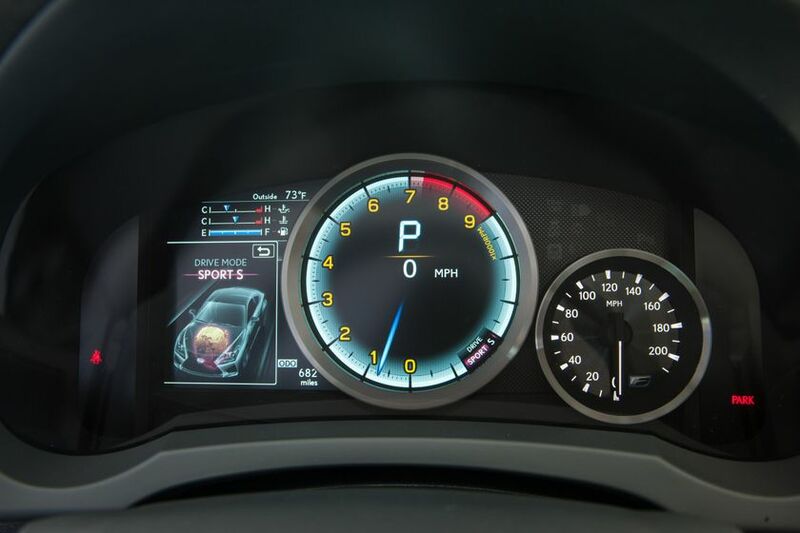 The Multi-information Display menu includes G-monitor, lap timer, and other useful racing information, in addition to standard Lexus information like audio and navigation. 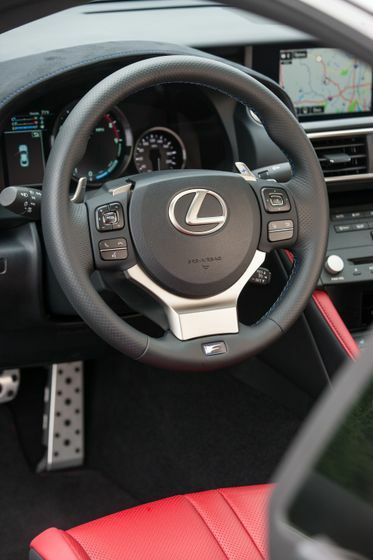 A three-spoke, small diameter steering wheel – developed after exhaustive testing at race tracks around the world – provides a firm grip for confident driving at speed. 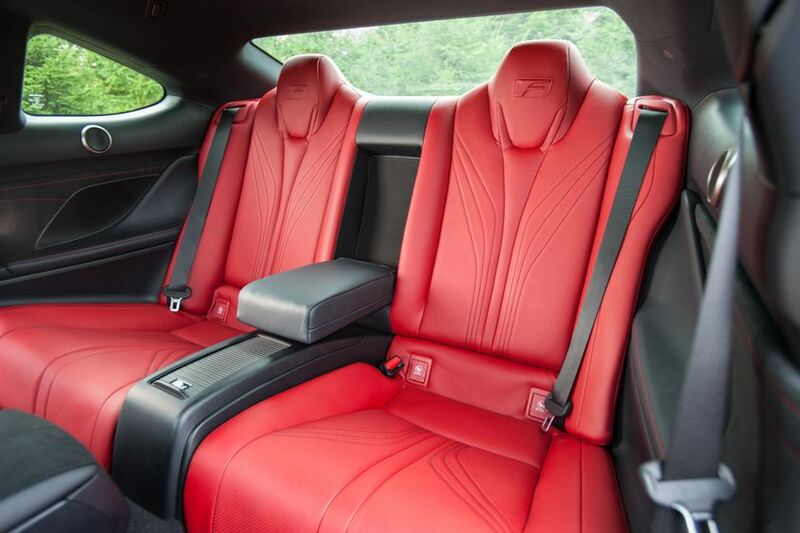 All new high-back seats – exclusive to RC F – are of integrated foaming construction and finished with high-contrast stitching. They offer excellent support during high-G manoeuvres. 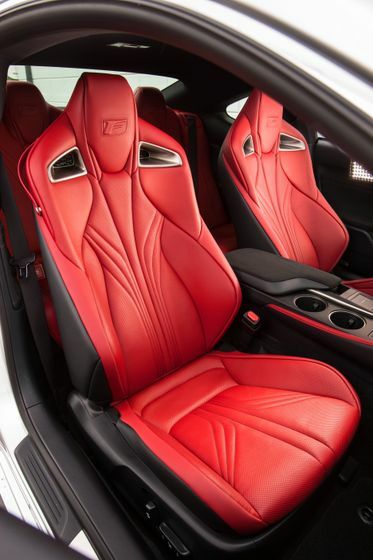 Cabin ornamentation includes newly-developed Silver Sterling fibre and Carbon Fibre Trim finishes to give RC F an aggressive and purposeful cockpit appearance. The RC F introduces upwards facing ambient illumination to create a new feeling of welcome like that found along the pathways of modern homes. 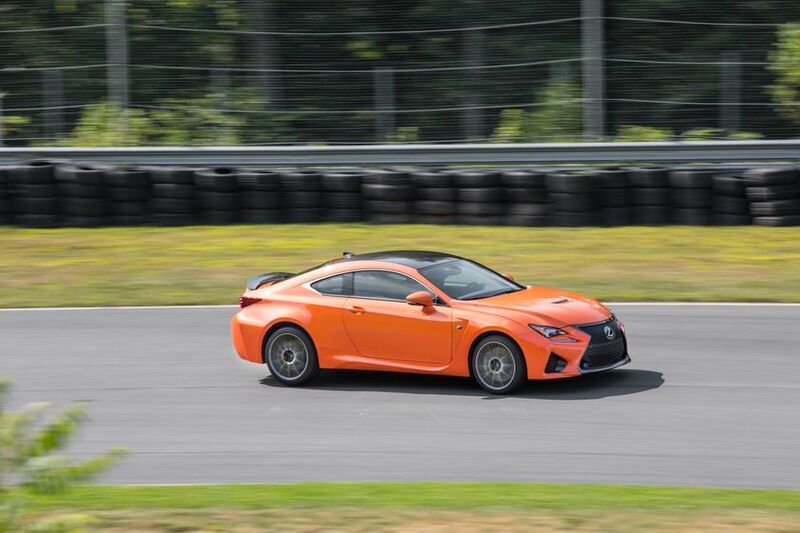 The RC F is the world’s first vehicle available with a Torque Vectoring Differential – an electronic system that optimizes torque transfer to each rear wheel regardless of whether the accelerator is pressed. 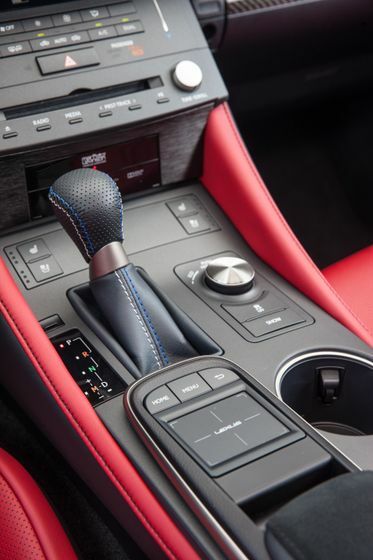 The Lexus TVD – designed exclusively for the RC F and available on the Performance Package – uses precisely controlled multi-plate clutches rather than the vehicle’s brakes to vector torque. 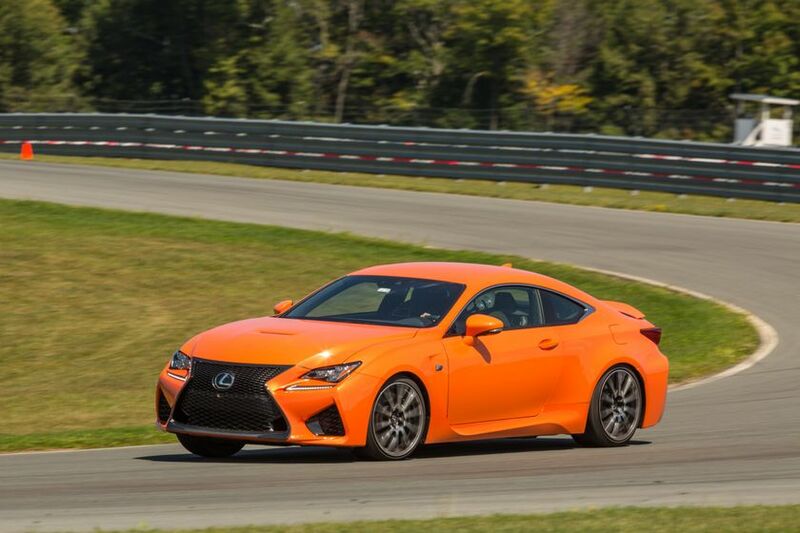 The RC F is the first Lexus to employ Active Sound Control, delivering enhanced exhaust, intake and mechanical sounds within the cabin when the RC F is operating in the SPORT S+ Drive Mode. The newly-developed 17-speaker Mark Levinson Clari-Fi audio system automatically analyses and improves the audio quality of all times of compressed, digitized music. 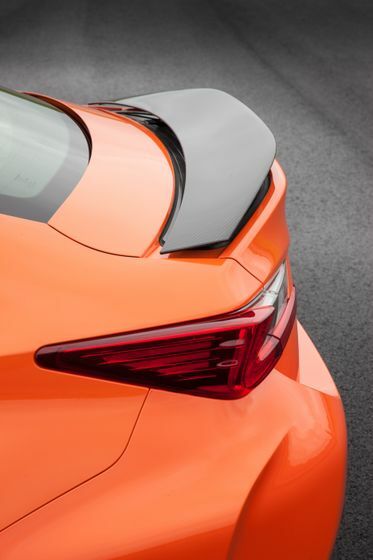 RC F models with the Performance Package are fitted with a Carbon Fibre roof, and active rear spoiler, to reduce vehicle weight and lower the vehicle’s centre of gravity for better on-track performance. 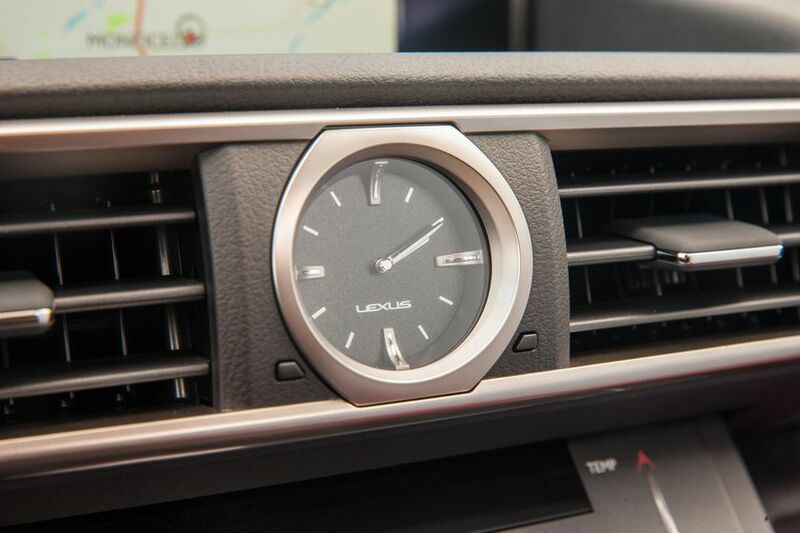 A new climate control system includes two-layer control of internal and ambient air, and upper/lower level independent air mixing, as well as independent left and right temperature control. 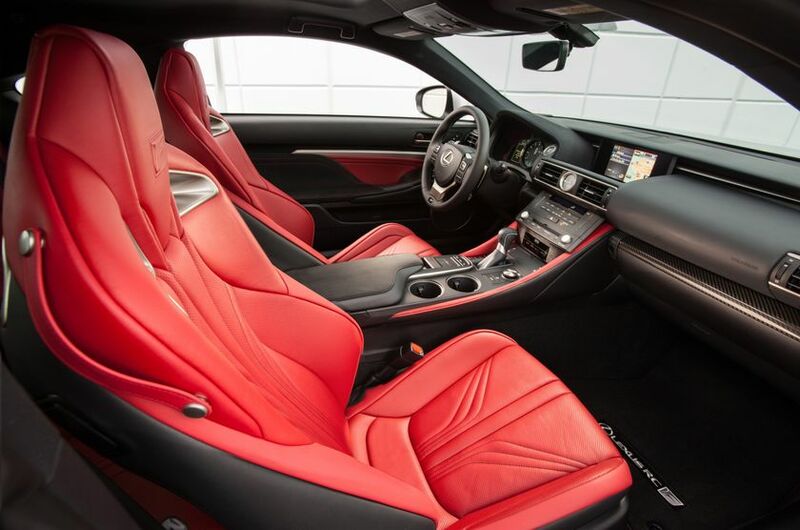 Front seats are air conditioned, and fitted with a fast-acting carbon heater system. Soft-touch electrostatic switches provided added convenience and fine control of the cabin climate. 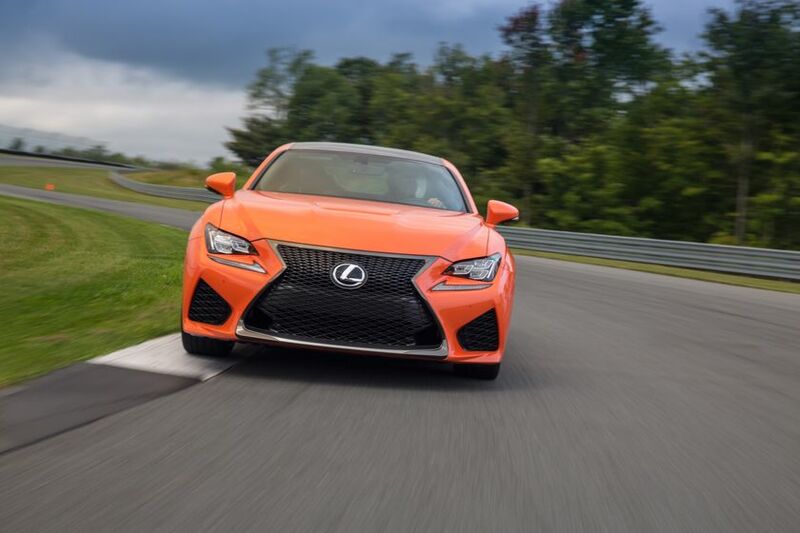 The Lexus Blind Spot Monitor system is standard on every RC F, and has been enhanced with Lane Change Assist – an extended detection area to help alert the driver to vehicles approaching from the rear at higher speeds. The Rear Cross Traffic Alert system is standard on every RC F, to assist drivers when reversing out of parking spots or driveways. Other technologies fitted as standard include Intuitive Parking Assist, Dynamic Radar Cruise Control, Lane Departure Alert and the Pre-Collision System. 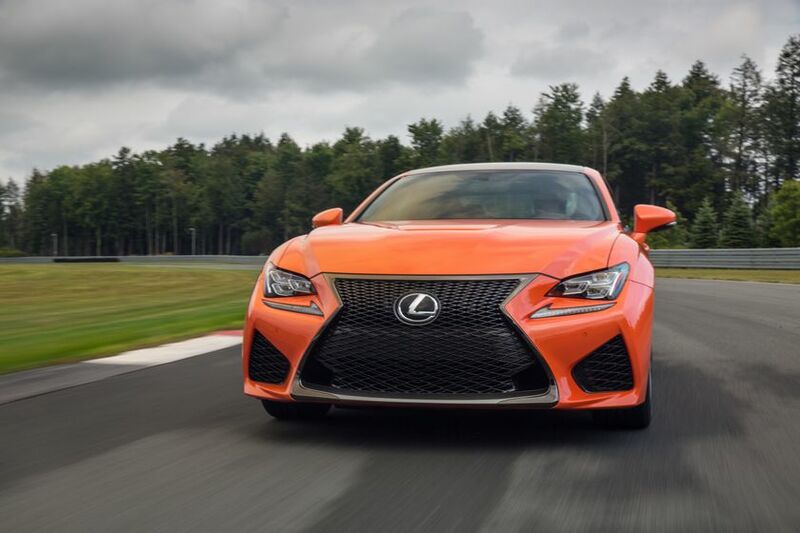 The RC F is built around the most powerful V8 engine in the Lexus line-up – 12 percent more powerful than the IS F engine on which it is based. 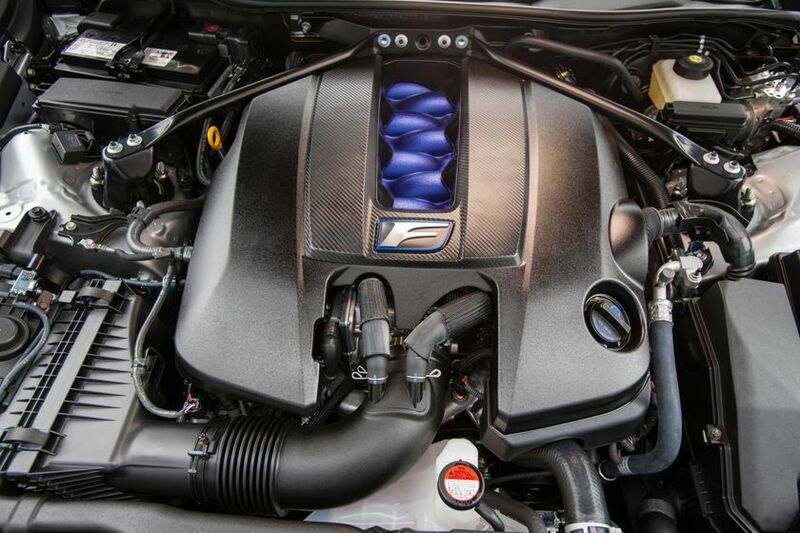 Engineers designed this 5.0L, 32-valve V8 to deliver the same concept of instantaneous torque that was achieved in the V10 used in the Lexus LFA supercar. All-new cylinder heads and lighter moving parts have increased the maximum power of the Atkinson cycle power plant to a peak 467 HP with maximum revolutions increased from 6800 to 7,100 RPM. The compression ratio has been raised to 12.3:1 to boost torque across the entire revolution range. The majority of the engine parts are new – including the intake manifold and throttle body, intake and exhaust valve train, motor-driven Variable Valve Timing (VVT-iE), cylinder heads and cylinder head cover, the D4-S dual injection system, spark plugs, pistons and piston rings, connecting rods, crankshaft, exhaust manifold, oil pan, alternator clutch system, and more. This new engine is matched to a uniquely-tuned eight-speed Sports Direct Shift transmission a more linear response to accelerator pedal operation. In M Mode, up changes are made in just 0.1 of a second, with the transmission’s throttle blipping control matching the engine speed to the gear. 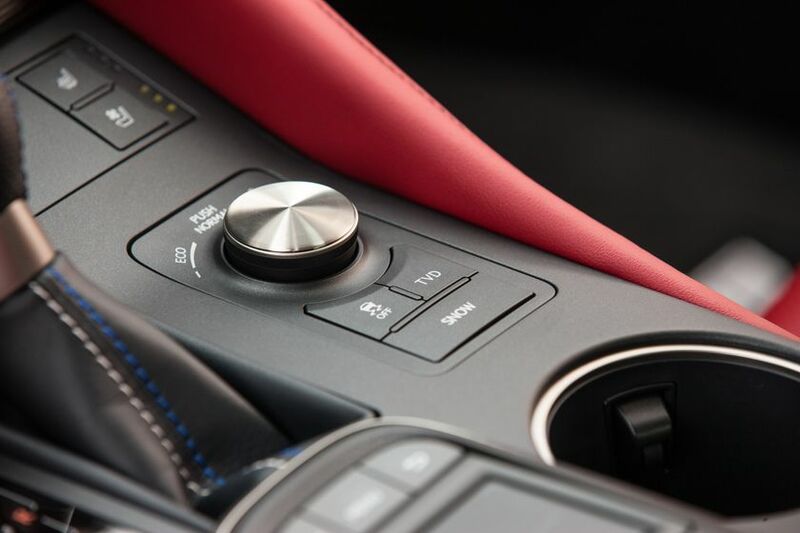 In SPORT S Mode, the transmission features the Lexus G-AI shift control, which uses information from the vehicle’s G sensors to provide the optimal gear ratio for sporty driving. The transmission delivers more dynamic acceleration control for a sportier driving experience. 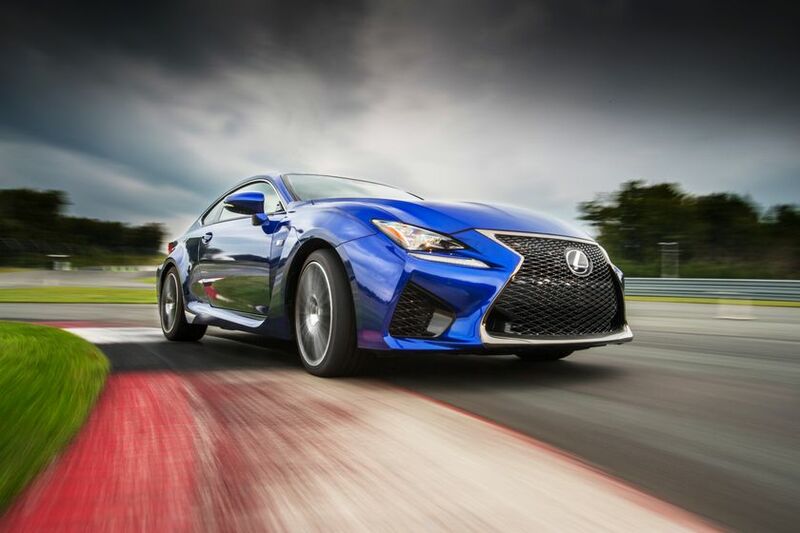 In SPORT S+ Mode, the RC F achieves dynamic driving under high load conditions, such as when driving on a racing circuit. 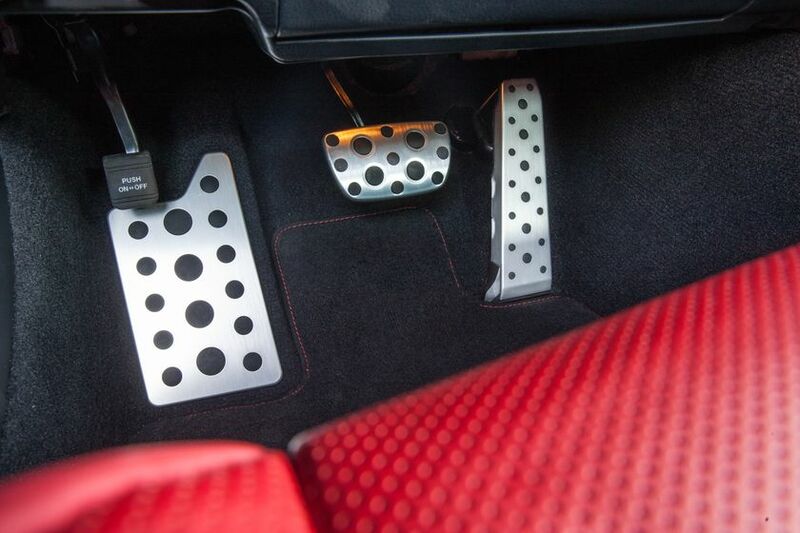 The transmission performs quicker downshifts by holding the engine at a higher speed. SPORT S+ Mode automatically downshifts during hard braking for a corner, holds the lower gear through the corner for greater control, then gives the driver a greater power response on corner exit by selecting a suitable low gear. 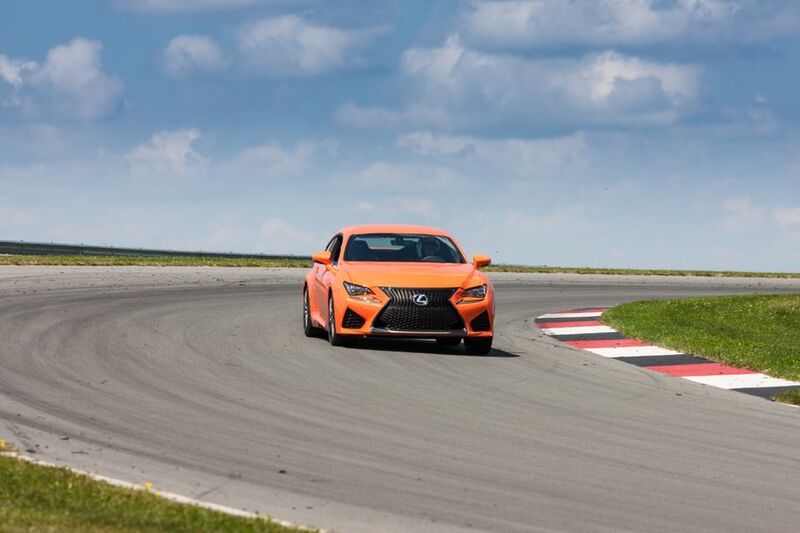 NORMAL mode provides for improved fuel efficiency and the seamless acceleration traditionally associated with a Lexus electronically-controlled transmission. 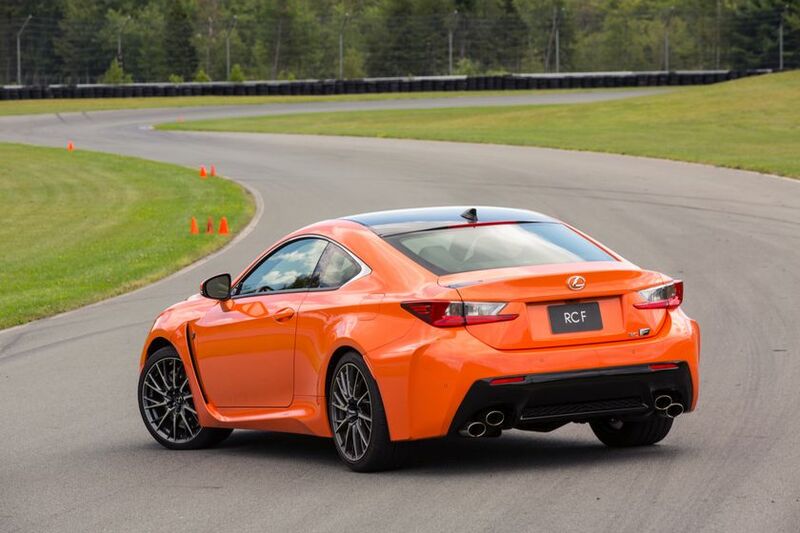 The engine and transmission cooling systems have been redesigned to increase track-day suitability. 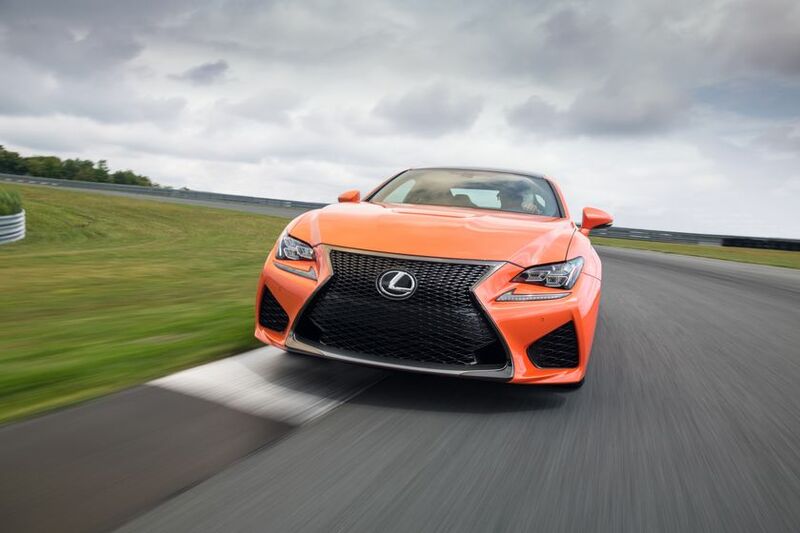 The RC F was designed for optimum grip and handling agility – to achieve a clear design concept: “Blast through S-bends under any conditions”. All aspects of the vehicle contribute to this goal – from the vehicle’s footprint and body rigidity, to aerodynamics, suspension hardware, brakes, the calibration of the electric power steering, and chassis electronics. 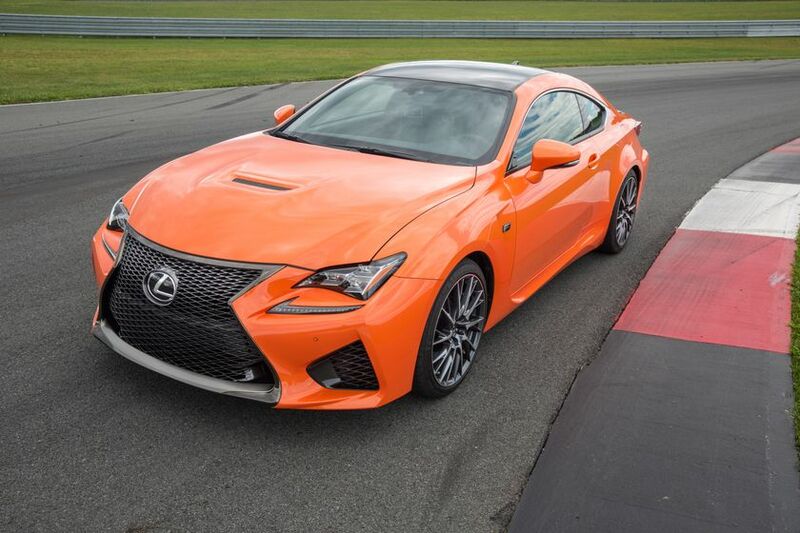 The RC F was then tested and proven on world-class race tracks, including the Nüburgring Nordschleife. 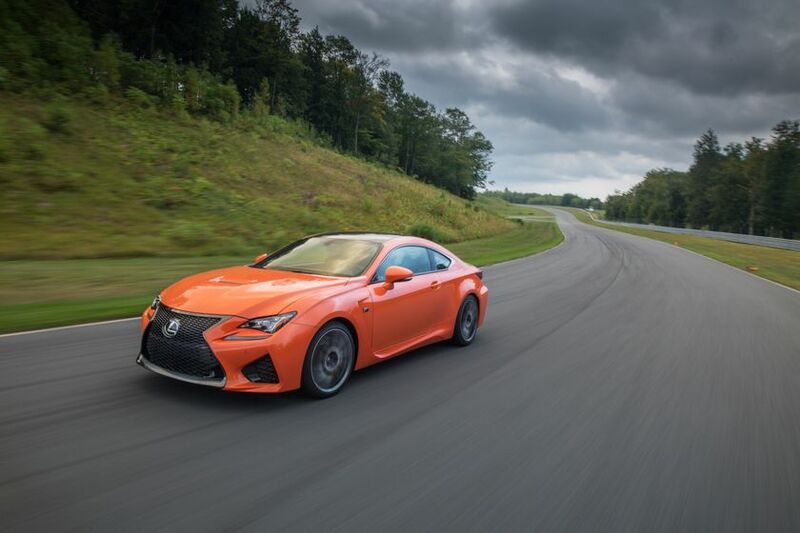 The RC F is the world’s first vehicle available with a Torque Vectoring Differential – an electronic system that optimizes torque transfer to each rear wheel regardless of whether the accelerator is pressed. 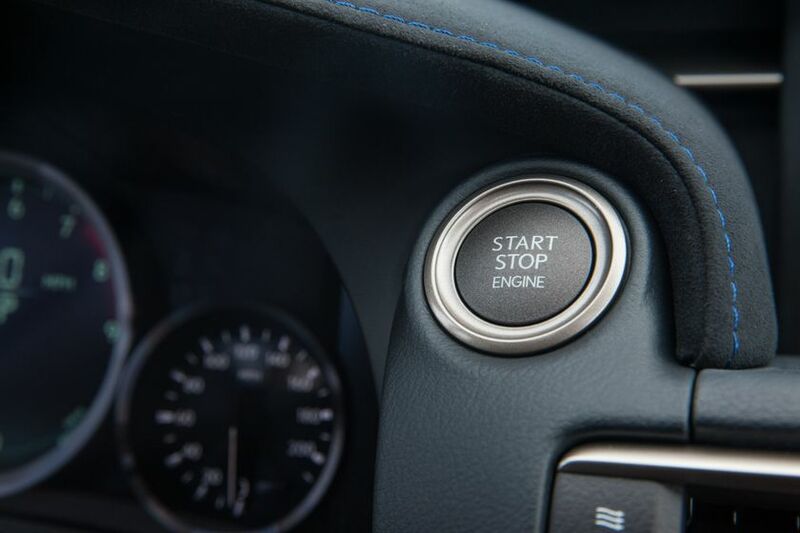 A new EXPERT mode in the Sports VDIM – exclusive to Lexus F series models – operates when the VDIM is turned off. EXPERT mode engages only to prevent the vehicle from going into a spin. 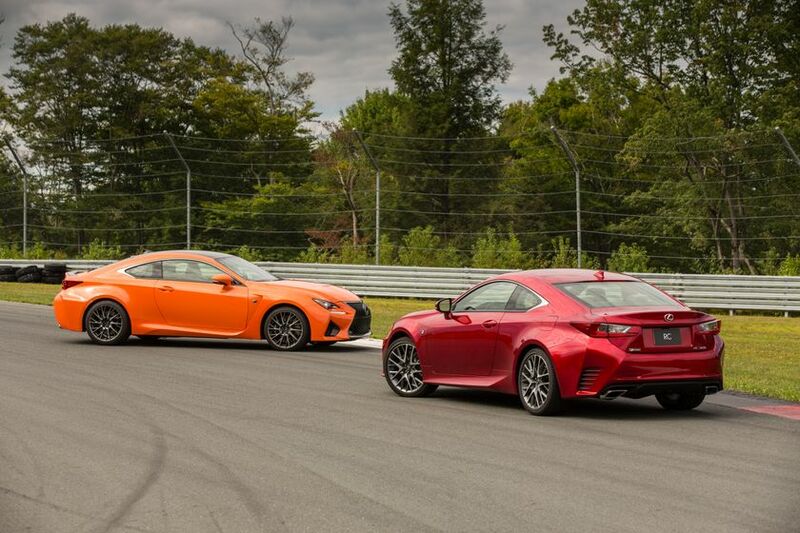 The Sport VDIM employs technology from the LFA supercar to offer greater potential for track-day use. 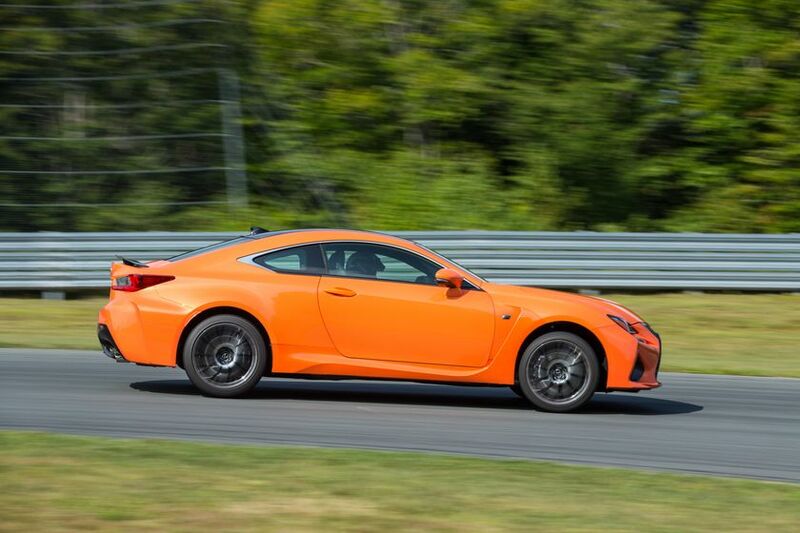 Other dynamic handling technologies include an active rear wing, a vertical G-sensor for the antilock braking system, and more. The chassis is designed to minimize roll and support higher cornering speeds and enhanced cornering effectiveness, so less steering input is required. A large footprint compared to its compact body size, plus a low profile, contribute to agility and grip. 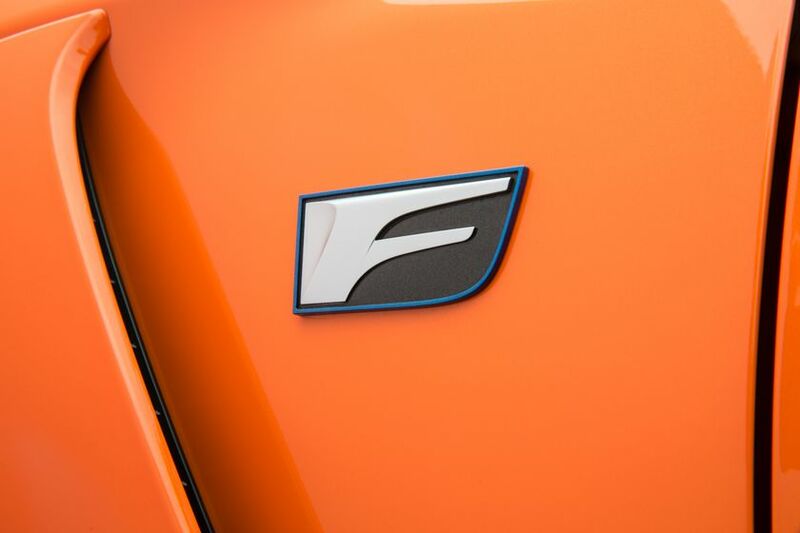 Compared to the RC, fully 70 percent of the RC F’s suspension hardware is unique. 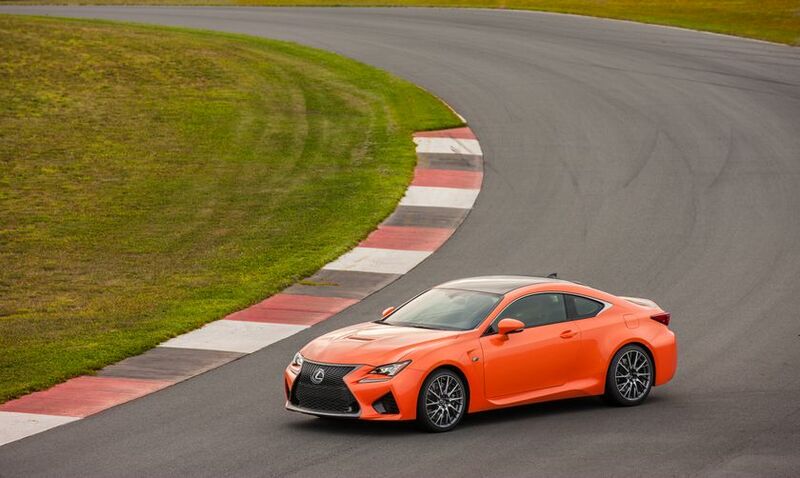 The RC F has an all-coil suspension with double wishbones at the front and mulit-link at the rear. New components include springs, dampers, stabilizer bars, suspension bushings and bound stoppers. 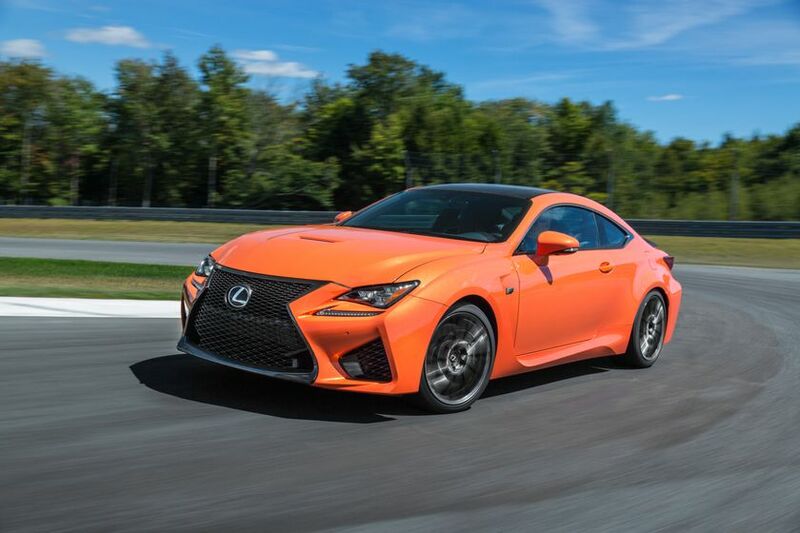 The RC F features electronic power-assisted rack and pinion steering, tuned to achieve excellent dynamic performance and steering feel. 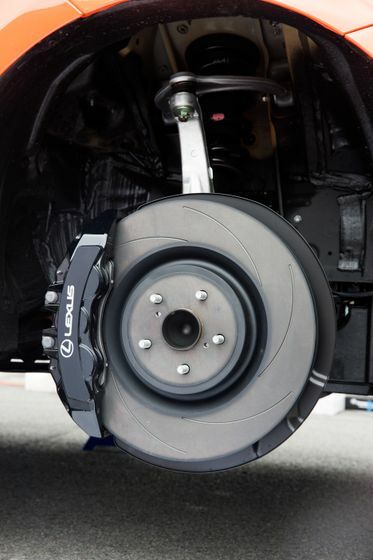 Massive brakes – larger than used on the IS F – are fitted with BREMBO callipers, rotors and pads, and supported by a new brake booster and master cylinder design to enhance response and shorten pedal stroke. 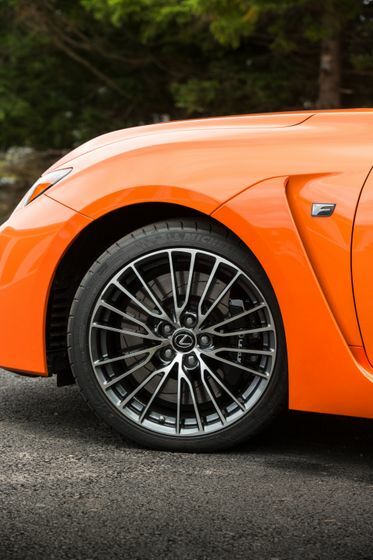 The RC F rides on 19” forged aluminium wheels with 255/35 R19 front and 275/35 R19 rear tires. Compared to the IS F, these tires deliver increased grip, while high camber angles and toe-angle rigidity further improve cornering power. 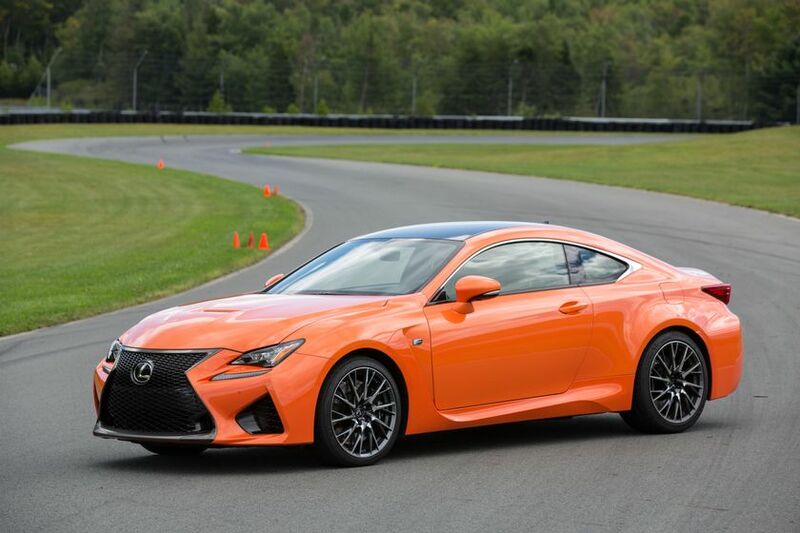 The Lexus RC F maintains the Lexus reputation for building vehicles that maximize safety for the driver, occupants and other users of the road. 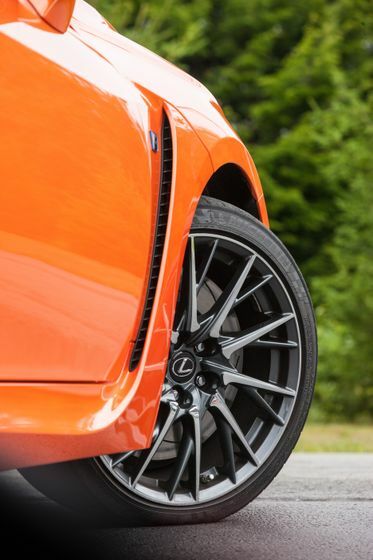 Safety starts with a high-strength body structure, and the Lexus RC F maximizes frontal and side collision protection measures with high-tensile strength steel enhanced by body adhesives, laser-screw welding and additional spot welds. 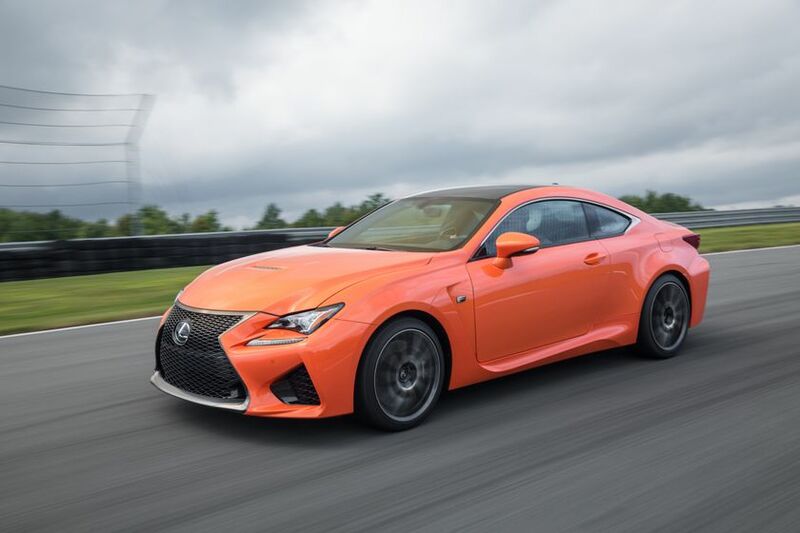 Every Lexus RC F has eight SRS airbags, including a dual-stage driver’s airbag, dual-stage and dual-chamber front passenger airbag, driver's and passenger’s knee airbags, front-seat side airbags and full-length side curtain-shield airbags. The big side-curtain airbag has been adopted for increased side-collision compatibility. 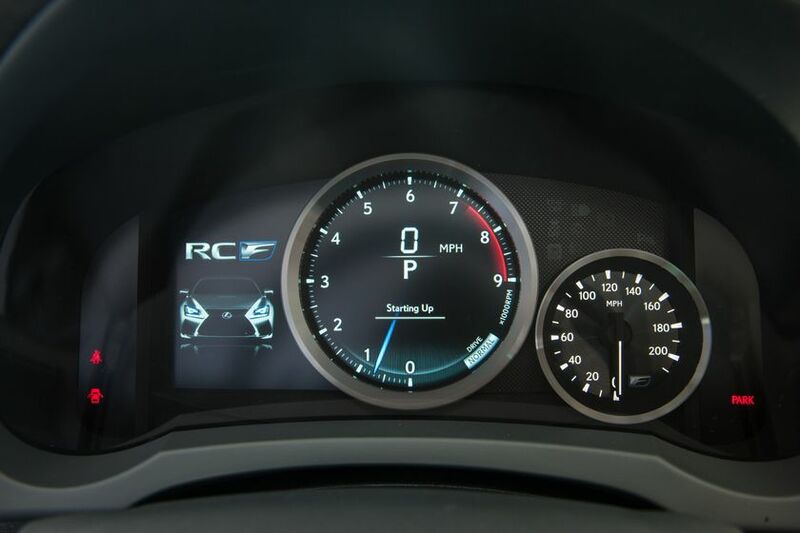 All RC F models are equipped with a Vehicle Dynamics Integrated Management (VDIM) system with Sport Mode tailored to the RC F’s performance characteristics, plus active safety systems including: Vehicle Stability Control; Traction Control; and Antilock Braking System with Electronic Brakeforce Distribution and Brake Assist. 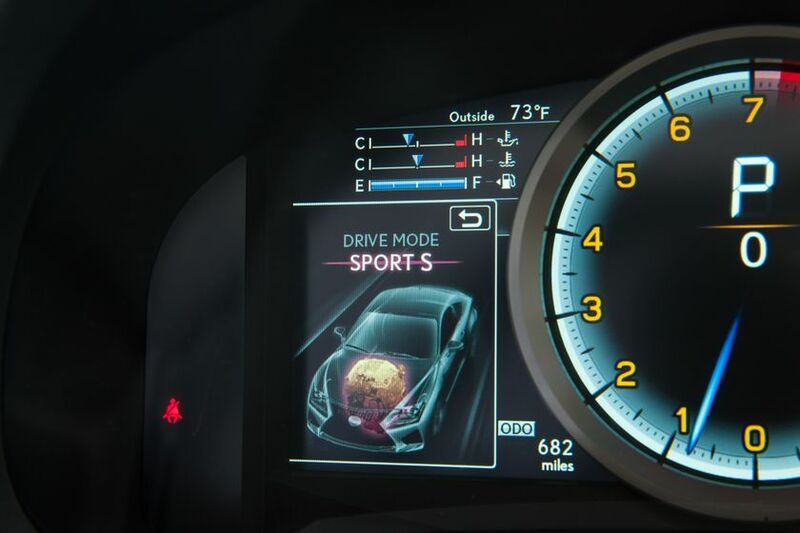 Other standard safety systems include Blind Spot Monitor, Lane Change Assist, Rear Cross Traffic Alert, a back-up camera in the navigation display, the Lexus Pre-Collision System, Automatic High Beam, and Lane Departure Alert system.